As we prepare to wrap up the end of the limited edition holiday brush season for 2015 — there may still be some good ones left in the sale bin — rest assured there are still lots of new and interesting makeup brushes on the market. 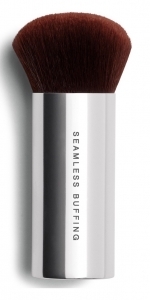 1. bareMinerals Seamless Buffing Brush. $26. 2. MAC 197 Short Handle Duo Fiber Square Brush. $35. This is a full-on paintbrush-style foundation brush. This brush is made in Japan with a blend of goat and synthetic fibers. According to MAC: “The thick natural fibres allow for good pick-up and release, while the synthetic fibres blend and diffuse foundation onto the skin with ease. Features a short handle for easy portability.” MAC also notes that this style of brush is good for reaching into the crevices of the face, as well as compacts, which is a good point as some brushes definitely struggle with that. I think it’s an absolute crime that they are not offering a side view of this brush, so I have ordered one and will post a side view as soon as the brush arrives. If the profile of this brush is flat, it would also be a great double-duty brush for contouring, but, again, no side view is provided. If it is flat, I suspect this brush will be extremely popular as narrow profile flat brushes tend to be sell outs, primarily for contouring. 3. Tarte Tarteist Sculpt & Slim Contour Brush. $34. For creams and powders, this dual-ended fully synthetic brush is multipurpose and already stolen many hearts since its launch in November 2015. It’s meant for countouring, particularly, but this is one of those brushes that really has a multitude of uses. The often underappreciated fan shape offers many possibilities in addition to the contouring mentioned here. Each side can be used with different product, say, a blush on one side and a highlighter on the other. Whereas the smaller toe can be used for contouring smaller areas along the nose, concealer, eyeshadow and/or blending. Tarte brushes, overall, get solid reviews and the Tarte Airbrush Finish Bamboo Foundation Brush ($34) is one of the most popular foundation brushes on the market today. 4. Ellie Goulding for MAC 217 Blending Brush (Limited Edition). $26. Why not have one of the most popular makeup brushes of all time, decked out in a Limited Edition style? This one is Ellie Goulding, the English music artist. The folksy electronica-inspired brush features Ellie’s triangular logo in a striking rose gold hue and all the soft goat hair that the 217 is known for and for which it is frequently copied. If you aren’t familiar with the 217, it’s the best blending brush on the market with a gazillion other uses. High sell-out risk. Also available at Macys and other retailers. 5. MAC 133 Small Cheek Brush. $35. If a 217 were to be invented as a blush brush, this would be it. Luxurious white goat hair from Japan, hand designed into an elongated fluffy paddle shape. Awesome for all lighter facial powder application. Perfect for a more ethereal, natural looking blush application. At Macys, this brush has the name “Faerie Whispers” in the title, which seems entirely appropriate for this type of goat hair in this toe shape. You aren’t going to get as heavy a deposit as you would with, say, a MAC 129. Usually, you have to rely on a fan brush for this lighter kind of application. 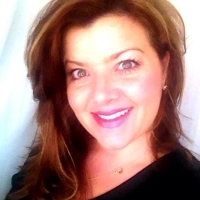 Although, arguably, Bobbie Brown blush brushes are often in this category of soft natural application. I expect this to be an instant classic. 6. Sigma 3DHD Kabuki Brush. $24. Sigma brushes are a great value. I also recommend buying these brushes at Nordstrom, which is now carrying this brand, to prevent the numerous Sigma knockoffs that proliferate the World Wide Web. These brushes are made with Sigma’s so-called “Sigmax” fiber, which is an advanced synthetic fiber. Sigmax, the company says, “feature premium filaments engineered for outstanding softness, heat- and chemical-resistance, mechanical strength and durability. They are antibacterial and hypoallergenic.” The brush handle is also made from lightweight, sustainably sourced wood that’s durable and scratch-resistant. People are loving this brush big-time over at Nordstrom, with 187 five-star reviews. They love the toe shape particuarly, and compliment it for quick, clean application and a shape that reaches into face crevices. It’s difficult to tell from the photo to the right here, but the reason this brush is called “3D” is because it’s not a flat brush, as you can see in the Sigma 3D HD video below, which shows how the angle is carried through the substantial width of the toe.